Not one, but two presenters of OFM, the sound of your life in Central South Africa, will receive Liberty Bright Star awards on Saturday, 13 April 2019, at the Liberty Radio Awards in Johannesburg. We have an environment that allows our talent to excel. This environment brings the best out of our people and this recognition for these two phenomenal talents should be celebrated; and we will. WR has been with OFM for a number of years. He first joined the station as a member of the Street Squad while studying in Potchefstroom. After his studies, he moved to Bloemfontein to produce the Afternoon Delight drive show for André Kunz. 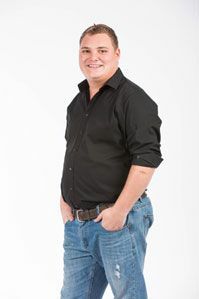 At present, WR produces the Just Plain Drive show for Darren Scott and hosts his own show, Saturday Express, every Saturday from 13h00 to 16h00. He is also the voice of two features, Market Place and North West University Innovation, and is the Executive Producer of Grain SA radio. From 2012 to 2018, WR has been nominated for 10 Liberty Awards, but this is his first win. Thabang Moselane joined OFM in 2016 as a trainee and after four months, was given his first job on air. 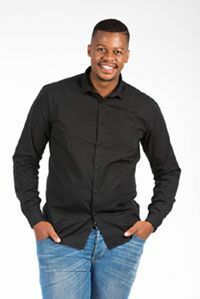 Three months later, he started hosting A Touch of Thabang, for which he won Best Night Show in the commercial category at the 2018 Liberty Radio Awards. Thabang recently left OFM and currently works as an independent voice artist. He also works as a freelance screenwriter and director for a film production house. In addition, he contributes to the online publication, The Journalist, for which he is also the social media manager and one of the board members. The Liberty Radio Awards are the only industry-wide awards in the South African radio industry and seeks to recognise excellence in the radio industry. It is widely seen as setting a benchmark for radio stations and professionals to strive towards.